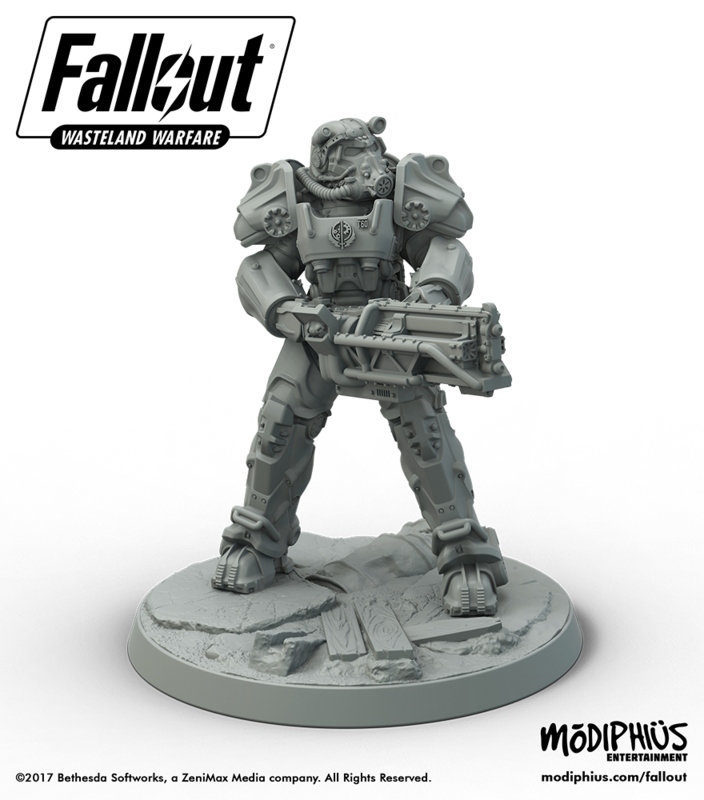 Grab a fusion core for you power armour, stock up on ammo, get Dogmeat ready and head out into the wasteland, because here at Polyhedron Collider we’ve got uranium fever for the Fallout miniatures game from Modiphious. We’re big Fallout players and so we are really excited at the announcement of Fallout: Wasteland Warfare at the weekend, but now Modiphius have released some more details. 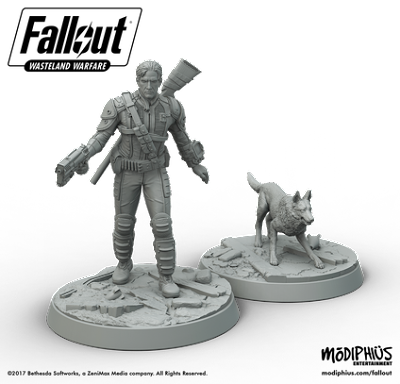 The basics are that Fallout: Wasteland Warfare will be a 32mm miniatures skirmish game featuring all your favourite factions, monsters and mutants from the Fallout series of video games. There’s also a hint in today’s press release that the game is also going to come with some iconic wasteland scenery all of which will be used in a narrative campaign. What is new, and very interesting, is that the game is going to come with an AI deck that will allow you to play Fallout: Wasteland Warfare both solo and cooperatively. No doubt someone is going to correct me but this is the first miniatures game I have heard of that will allow cooperative play. The press release suggests that the game will feature a kind of ‘horde mode’, where plays can work together to build up and defend their settlement from AI attacks. While we wait for more details, why not feast your eyes on the amazing miniatures (which we assume are just renders at this time but still look cool). The biggest surprise is that Fallout: Wasteland Warfare will not be coming to Kickstarter. Instead the game will be available to preorder sometime this summer. 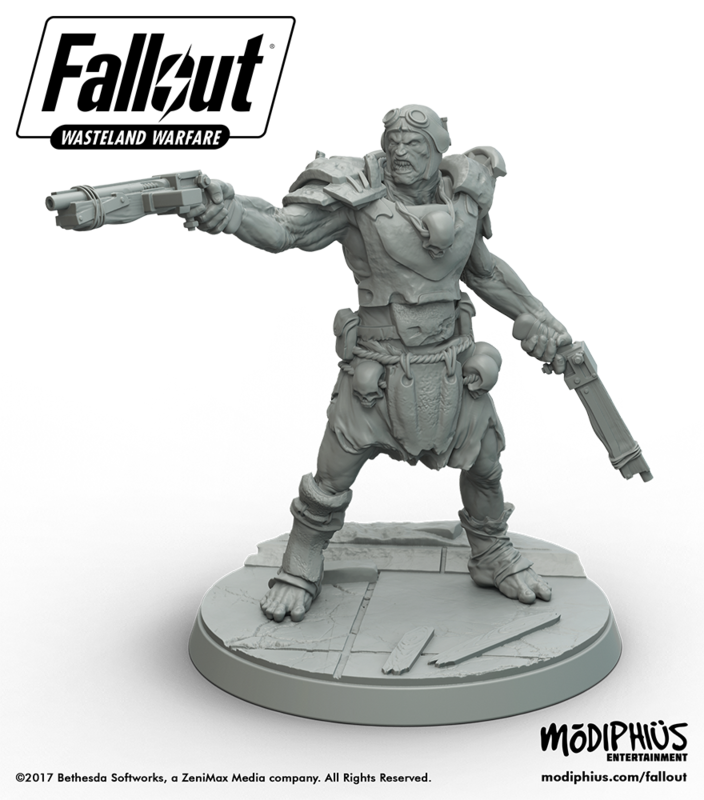 Hopefully we will see more information, and some of the minis, at the UK Games Expo in a few weeks.